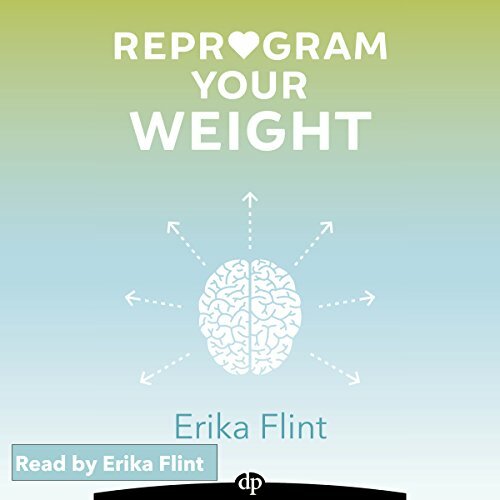 Erika Flint, BA, BCH, A+CPHI, OB, author of Reprogram Your Weight, Lighter, and Can You Be a Hypnotist? My background is in computer programming and problem solving. I was working in that field for over a decade when I realized how interested I was in the greatest computing device available – the human mind! 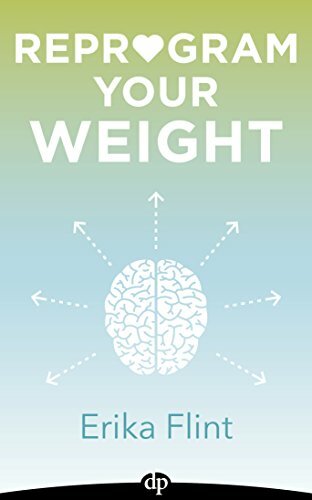 I am an award-winning and board certified hypnotist with the National Guild of Hypnotists, best-selling author, and an Accredited Certified Professional Hypnotherapy Instructor of 5-PATH®, taught by Cal Banyan. I use hypnosis to help people discover the subconscious reasons for their symptoms, behaviors, or habits. When they are discovered, I use certain tools and techniques to help release them and relearn a new positive way of thinking, subconsciously. This is called hypnotherapy. I train other compassionate individuals to become world-class hypnotists using a systematic, proven approach called 5-PATH. To learn more about the training offered at our center, check out my Accredited Hypnosis Certification Training Course. My core values drive everything I do. They make up the reasons why I do this powerful work, why I chose to write 3 best-selling books, and become a hypnosis trainer. The answer is to help more people. Compassion – deep and meaningful love and care for all beings. Desire to be of service and to help all others experience love, peace, and happiness to their greatest abilities which is always beyond what they think they can do or achieve. Optimization - belief in the value of always improving. There are no mistakes, only opportunities to learn and grow. A growth mindset. Knowing that as we improve, we gain momentum in an upward spiraling fashion to self-actualization - then beyond. Transcendence – experience beyond the physical level. Belief in something more than what we can see and feel. The desire to create sublime, optimal experiences. Belief that such experiences are the optimal method for transformation and coherence with all that is, or God / Source / Spirit. Belief that Hypnosis is one of, if not the absolute best ways to achieve this state, and that 5-PATH® and 7th Path Self-Hypnosis® in particular, facilitates these types of experiences in a systematic, repeatable way. Hypnosis is on the leading edge of consciousness - and that's why it is such a tremendously fascinating and fulfilling profession! We get to help people with their biggest issues - and they leave with more then they came to see us for! 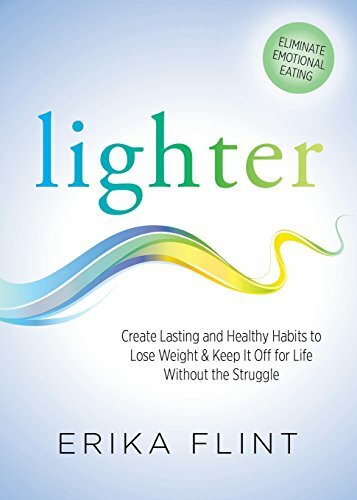 Over the course of my career I've helped hundreds of people lose weight, stop smoking, end the painful cycle of drug and alcohol abuse, and along the way they discovered something very important - themselves! They found their true, loving, and wonderful selves. My goal with hypnosis is to help bring it into mainstream healing and thinking. And I can't do it alone! Every year I train over 50 new compassionate hypnotists into the profession of hypnosis. They have thriving practices, where they get to help people with the power of hypnosis. They get fulfilling and rewarding careers, while making a great income and bringing value and relief to their communities. Erika Flint on KATU TV : Learn to share your message with the world and help more people! Local Board Certified Hypnotist Erika Flint was awarded the Visionary Award for 2017 from the National Guild of Hypnotists (NGH) . The award was presented by Dr. Dwight Damon, President of the NGH. The award was presented during the National Guild of Hypnotist’s (ngh.net) annual Convention held in Marlborough, Massachusetts August 11-13, 2017. The recognition is awarded to an NGH Hypnotist for their leadership and guidance in the profession of hypnosis. Visionary Award : Awarded to a member who exhibits a plan for the future of hypnotism, with wisdom and imagination. From left to right : Cal Banyan and Erika Flint. Erika was awarded the 5-PATH ® Hypnosis 1%-er Leadership award for 2016. Local Board Certified Hypnotist Erika Flint was awarded the Certified Professional Hypnotherapy Instructor of the Year award for 2017 . The award was presented by Calvin D. Banyan, CEO of the Banyan Hypnosis Center for Training & Services (Plano, TX, hypnosiscenter.com) during the National Guild of Hypnotist’s (ngh.net) annual Convention held in Marlborough, Massachusetts August 11-13, 2017. The recognition is awarded to a Certified Professional Hypnotherapy Instructor for their leadership and guidance in the profession of hypnosis. "Exemplary efforts which have resulted in teaching 5-PATH ® and 7th Path Self-Hypnosis ® to the world"
Erika Flint was awarded the 5-PATH® Hypnosis Leadership award for 2015. The annual award was presented by Calvin D. Banyan, CEO of the Banyan Hypnosis Center for Training & Services [http://HypnosisCenter.com] during the National Guild of Hypnotist’s [ngh.net] annual Conference held in Marlborough, Massachusetts August 9-11, 2015. The recognition is awarded to a 5-PATH® Hypnotist for their leadership and guidance in the profession of hypnosis. Contributing author, The Journal of Hypnotism since 2017. Erika Flint was designated as an Accredited Certified Professional Hypnotherapy Instructor. Erika has been a hypnotherapy instructor since 2014. The Accreditation designation indicates the instructor has demonstrated a very high commitment to the profession, students and the 5-PATH ® System, and has also undergone extensive review and evaluation of knowledge and ethics in order to receive this professional status and recognition. National Guild of Hypnotists member since 2013, Board Certified in 2014. 5-PATH® stands for Five-Phase Advanced Transformational Hypnosis®, and it’s a style of hypnosis that includes the most advanced hypnosis and hypnotherapy techniques in the field, all combined to produce the most effective and efficient hypnosis. Guest and co-host on the #1 Hypnosis Podcast educational series for hypnosis professionals, Hypnosis, Etc. Erika Flint on Hypnosis, Etc. All the hypnotists I know and have trained wanted to become hypnotists to help people. And passion and drive to make a difference in the world and have a meaningful and fulfilling career is important and worthwhile. And making money is GOOD - it's good for you and your family, your business, and your community. This article covers some of the most common ways hypnotists make money. Maybe it's time to expand your practice, or perhaps you're just wondering how you'll make money as a hypnotist. This article is for you. Don’t have the first clue on how to market your hypnosis practice? Check out part 2 of the training video that tackles business promotion and marketing. Watch this hypnosis training video and learn how to market your hypnosis practice - even if you don’t have a clue which strategies are available to you. Hypnosis Training Video #490: How to Deal with Clients Who Sleep During Sessions & How You Can Stop Encouraging it! Sometimes clients will fall asleep during a hypnosis session. Learn how to properly address and discourage this issue. Watch the training video too. Most clients will come to hypnosis with false expectations, and managing false expectations is critical to success with our clients. False expectations are born out of the media's portrayal of hypnosis, stage hypnosis shows that give our clients ideas about hypnosis that aren't necessarily true, past experience with hypnosis, and other peoples experience with hypnosis. New hypnotists can make mistakes. Know about the top 7 mistakes that new hypnotists make from this hypnosis training video and learn to avoid them. Effective hypnosis emerging process is critical to your practice. This training video & text teaches the best way to emerge clients from a hypnotic state. Learn 5 Path Hypnosis rapid induction techniques. This hypnosis training video will teach you efficient rapid hypnotic induction to use with clients. Hypnosis clients make mistakes that can impede their progress. Learn to use course correction strategies as a solution in this training video. Don’t read hypnotic suggestion from a script. Learn how you can customize it from information outlined here and from the accompanying training video.